INDEPENDENT experts have released their own legal blueprint for dealing with the legacy of the Troubles, one month before government is expected to produce the official legislation. The academics from Northern Ireland’s two universities, working alongside a human rights group, set out how they believe the British and Irish governments should implement plans contained in the Stormont House Agreement. Researchers also identified additional powers that legacy organisations will require to carry out the work and they questioned whether the five year timescale for dealing with the past will meet the needs of victims. And while government is understood to prefer the eventual destruction of confidential information gathered on unsolved murders by an Independent Commission on Information Retrieval, the experts proposed locking the files for 50 years to help educate future generations. The Stormont House Agreement (SHA), brokered last Christmas in inter-party talks, agreed the creation of new structures to investigate the Troubles, seeking prosecutions or further information on murders, and to attempt to help heal the wounds of the conflict. The plans are now caught-up in the renewed political controversy at Stormont, raising concerns over the delivery of the pledges. But Alan Brecknell, a victims’ campaigner who was seven-years-old when his father was killed in a gun and bomb attack in 1975, said victims had a right to truth and justice. "My family and thousands like us have waited too long to see truth and justice for what happened to our loved ones,” he said. “The UK government must now act in good faith to legislate for all the mechanisms agreed at Stormont House - including the Historic Investigations Unit to investigate past atrocities, and an information recovery commission to let victims know what happened to their family members. "Different victims want different things from new mechanisms to deal with the past. Indeed, my own family has different views on issues such as the need for prosecutions. 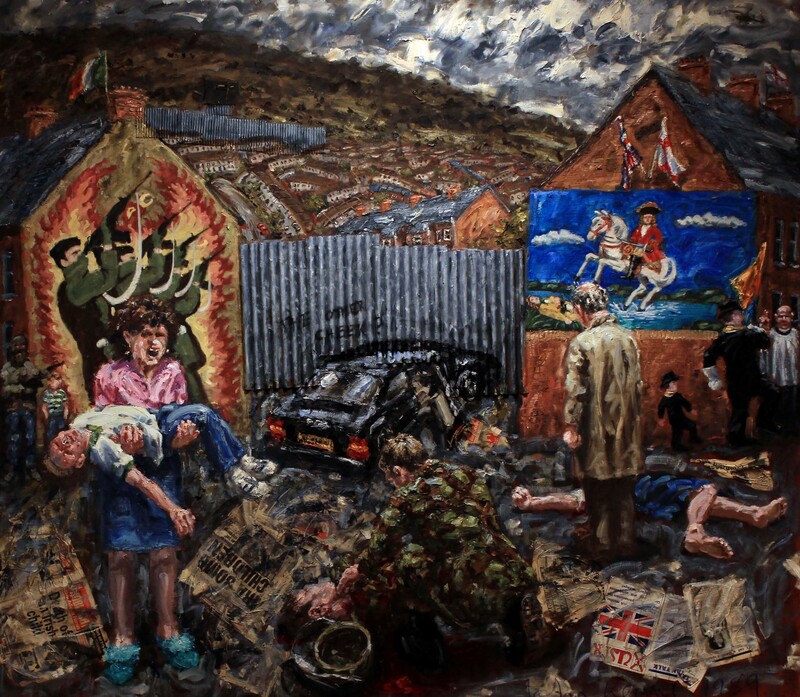 The Detail has reported extensively on the impact of the Troubles in Northern Ireland, available here. Academics from Ulster University and Queen’s University Belfast, plus human rights group the Committee on the Administration of Justice (CAJ), drafted legislation to implement the legacy plans of the SHA. A conference and a report on the issues was organised jointly by the drafting group and Amnesty International, along with additional experts from Ulster University. An Historical Investigations Unit (HIU) to take forward investigations on Troubles-related deaths with a view to seeking prosecutions. An Independent Commission on Information Retrieval (ICIR) through which next of kin could alternatively seek information on the deaths of loved ones. An Oral History Archive to provide a central place to share experiences and narratives. An Implementation and Reconciliation Group to oversee themes, archives and information recovery. It should have a ‘clear disclosure power’ compelling state agencies to hand over documents to assist investigations. The HIU would take on cases including the caseloads of the police Historical Enquiries Team (HET) and the Police Ombudsman. Government legislation should not seek to “take a restrictive approach to certain categories of cases” under investigation. HIU disclosures should not jeopardise the safety of individuals, but there should be no ministerial veto on grounds such as national security. It recommended that the independence of the HIU from government should be enshrined in law. It upheld the existing exclusion of former security force members from investigations to avoid a conflict of interests and said this should be extended to include former paramilitaries. Since previous investigating bodies were male-dominated, it said a gender balance should be sought in the HIU. It is suggested that the ICIR has power to compel the release of information from public bodies, that it can access the files held by the HIU, but that the ICIR be protected from having to release its files to criminal justice agencies or intelligence agencies. The bill also proposed the inclusion of an option to extend the five year tenure of the ICIR, so as to allow relatives time to pursue investigations in the HIU, but to give them the opportunity to go to the ICIR if prosecutions prove impossible to secure. While the government envisaged the eventual destruction of files compiled by the ICIR, the researchers proposed that files be held securely and confidentially for 50 years to assist valuable learning by future generations. The authors of the blueprint recommended robust eligibility criteria and a gender balance in the appointment of commissioners to the ICIR. The academics suggested the archive presents an opportunity to get beyond narrow political and statistical interpretations of the past and explore themes that are often overlooked, including gender, mental health and rural perspectives. Efforts should be made to ensure a wide variety of voices and perspectives, but with awareness of the risk of stirring up painful memories for individuals. Full account should be taken of existing archives, protecting their standing and the agreements upon which they secured stories, but seek to work together to maximise potential. It warned that such a major task may not fit into the five year time-frame. It found that the chance now exists to create a central dedicated sound archive to secure accounts for future generations. The group raised the experience of the Boston Tapes archive and examined the levels of confidentiality on the new archive, the care required and the risks involved. It recommended careful consideration of such issues and specialist training for staff. There was a risk, it said, of the work of the IRG becoming a political football and so it recommended it is given a formal legal footing to set out its powers and establish its relationship with the other legacy bodies. The question of the IRG examining pre-agreed ‘themes’, such as state collusion with paramilitaries, was stripped-out at the talks that led to the SHA. It is now envisaged that while themes be examined by the IRG, the will not be identified in advance, but will emerge as the new organisations examine the past. The research proposed setting down in law how themes may instead emerge from other legacy bodies to the IRG, also setting down a criteria for the academic experts it will appoint, and to help establish its independence. The model bill also noted that the SHA rejected calls for an end to inquests into Troubles-related deaths, but said these had to be properly funded, planned for, resourced, and staffed. The blueprint said inquests should be able to draw on the information secured by the HIU, while the HIU should also provide investigative services for the coroner. It highlighted major roadblocks to the operation of legacy inquests which it said the government had yet to deal with. The academics from Northern Ireland’s two universities, working alongside human rights groups, set out how they believe the British and Irish governments should implement plans contained in the Stormont House Agreement. Researchers identified additional powers that legacy organisations will require to carry out the work and they questioned whether the five year timescale for dealing with the past will meet the needs of victims. And while government is believed to prefer the eventual destruction of information which is due to be confidentially gathered on murders from the Troubles, the experts have proposed locking the files for 50 years to help educate future generations. The Stormont House Agreement (SHA), brokered last Christmas in inter-party talks, agreed the creation of new structures to investigate the Troubles, seeking prosecutions or further information on murders, and to attempt to help heal the wounds of the conflict. The plans are now caught-up in the renewed political controversy at Stormont. Academics from Ulster University and Queen’s University Belfast, plus human rights groups the Committee on the Administration of Justice and Amnesty International, led the research into how the legacy groups should be set-up.